This is the LAST Class. We will start a new mystery in Sept. This lecture/demo class offers an installment of a mystery quilt every month. The Mystery quilt will be taught over a 6 month period. The first month you will receive the supply list and the last month find out how it goes together. Come on down and sign up today it is not too late to join in the fun. Saturday, August 18th Time: 1-4. Here is this months project. We are going to take an in the hoop pot holder design and turn it into a sign! 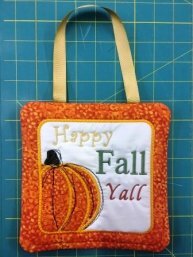 This class will go over in the hoop appliqué, using multiple fonts, jumping around in stitch out mode, and much more! 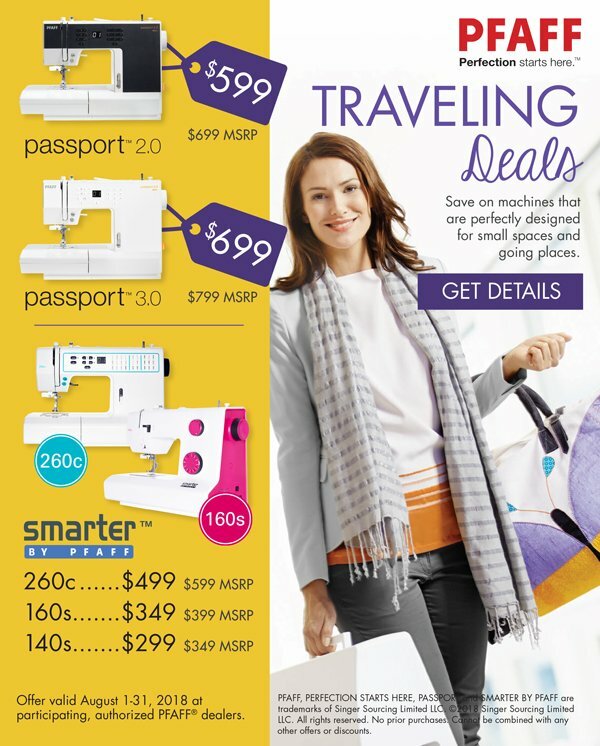 Kits are $10.00 and include the original design. Each month we do a new in the hoop project or embroidery. 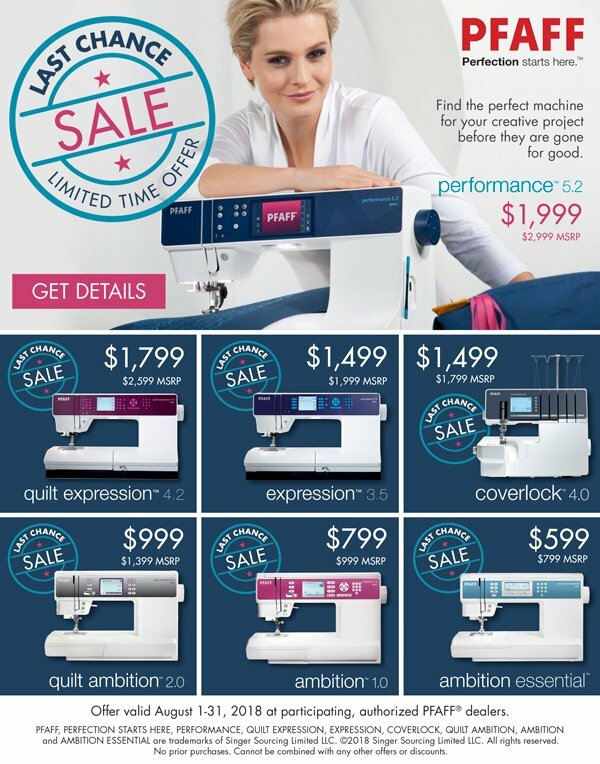 This class is only for the Pfaff Embroidery machines Vision, Vision 5.5, Creative 4.5, Sensation, Sensation Pro, Sensation Pro 2 and the Creative Icon. You have to know the basics of your machine. Learn to bind your own quilt!! You will need a crib size quilt already quilted. Continue getting to know your Creative Icon with Sandy! We will be Closed Sept 1 - 3rd for Labor Day. Yay! August means that fall is just around the corner. Hopefully, fall will bring cooler weather. I'd like to thank every one of you for signing up for our newsletter. It is very much appreciated!